This sunny garden has special emphasis on growing food crops using different techniques. In addition, each perennial bed has a specific theme. It is located behind the playground area. 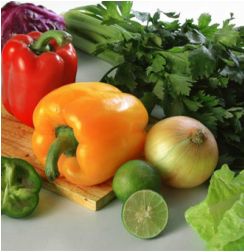 All produce grown by the Master Gardeners is donated to a local food bank. Bear right on Armar Rd. Go .5 mile to park on the right. 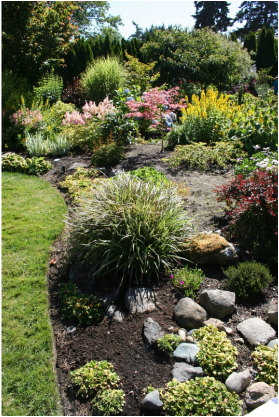 This part-shade garden features numerous themed beds which are suitable for a woodland garden area. Referred to as Snohomish County's 'treasure', the 3 ½ acre Evergreen Arboretum & Gardens at Legion Memorial Park is a place of beauty and education and is free to the public. The Master Gardener Demonstration Garden there was created in the early 1990s by a small group of Master Gardeners. This beautiful 200-foot border garden has been designed to educate the public on perennial, bulb and shrub plant selection and designs that work in a residential setting. Legion Park underwent major renovations in 2015-2016, and the replanting of our border garden began in late 2016. We are excited to have this demonstration garden open to the public again!